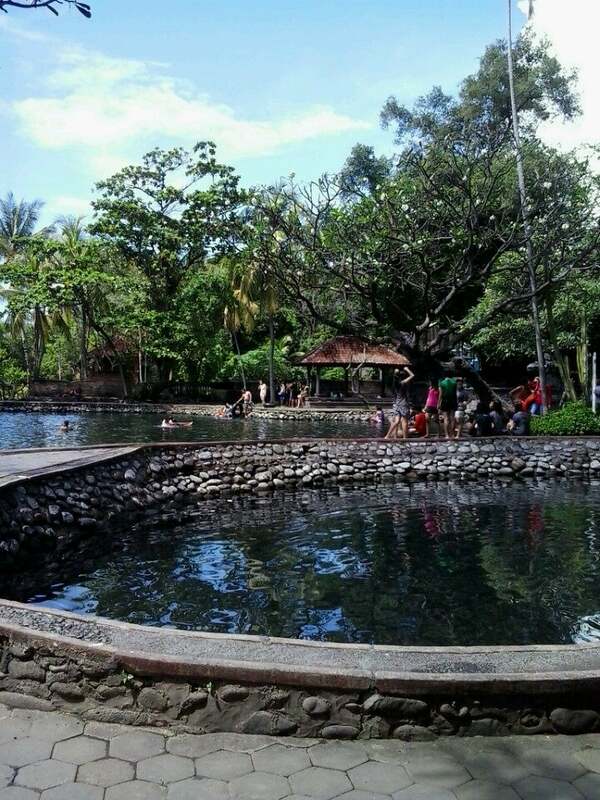 Air Sanih is a public natural pool situated in Singaraja Regency, north part of Bali Island. This place draws tourists for the natural spring fulfilling a pool. Why Air Sanih is special ? Air Sanih is a public natural pool situated in Singaraja Regency, north part of Bali Island. 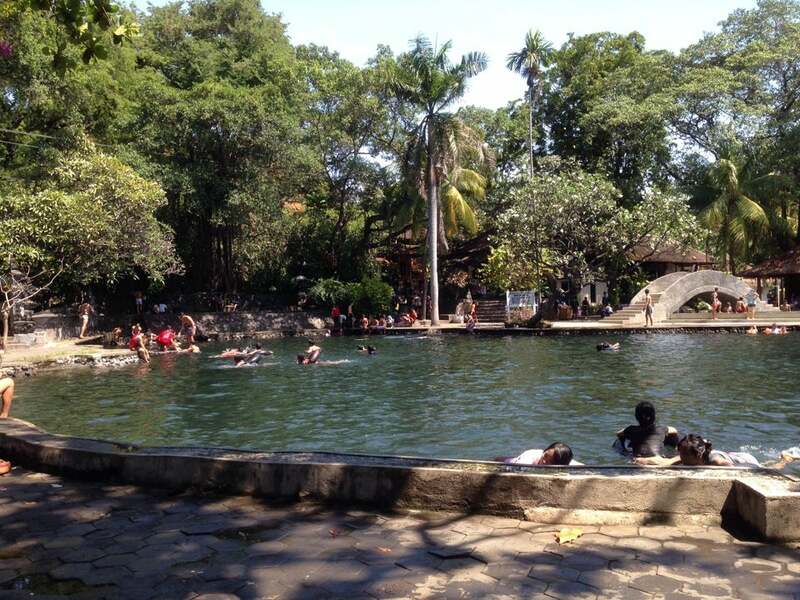 This pool is naturally made cause of big spring come out from the land and formerly used as a water resources for daily life supply by the local communities who leaving surrounding area. This pool is strategically located beside of the main road from Karangasem to Singaraja and naturally designed with river stone tile on bottom of the pool. It is well featured by the fresh water supply from the ground and flow over to the sea. It is one of the favorite places to visit by local people who want to swim in the natural pool with tropical plantation surround it. What to explore at Air Sanih? This water recreation offers a natural spring swimming pool. Sanih is famous for its water springs appearing endlessly in the southeastern corner of the pool. The springs are the underground watershed coming from Lake Batur, Kintamani. This tourist attraction has two pools, one for adults and another for children. A few meters to the north occurs the beach that is relatively safe for swimming and other water sport activities or just lazing on the black sandy beach. Around the object have been available several small inns, restaurants and parking areas. How to get to Air Sanih? Air Sanih is located at Sanih village, Kubutambahan subdistrict, it is approximately 17 km east of Singaraja town. You can take a taxi to get there. This places provide lockers to store all the valuable belonging before swimming and also a place to change the clothes. You should not visit the Air Sanih on weekends as it is always crowded. Once inside you can hire a tube and just float around or if you have goggles, these even a few fish swimming around in the pools. About a 20 minute drive south from Singaraja is an amazing spring water swimming pool of Yer sanih (which sounds like air sunny when the Balinese pronounce it) It's a holy place for the Balinese , with a small temple next to the the pool also Yeh Sanih is right on the beach. You can see why the Balinese have made this a holy place , the spring water gushes out into the swimming pool at an amazing rate , The waters in the pool are crystal clear , so clear you can see the stones that for the bottom of the pool, The water temperature is cool all the year , The pool it's self is made of large rocks & stones , a wonderful place to have a swim with your friends and family. A small admission fee is charged which helps maintain the pool and beautiful surroundings gardens. Definitely worth a visit! !